Hairs the thing, maintaining your mane can be hard work! The blow drying, the curling, the dry shampoo. 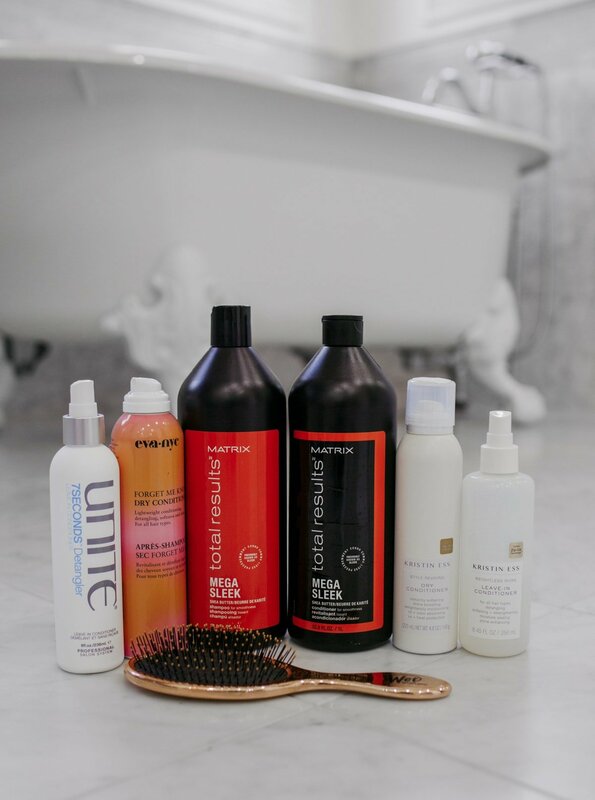 Sometimes it requires a lot of time and a lot of product to have a good hair day-especially if you also have super fine hair that is prone to tangles! This is one of the most common hair problems I used to hear girlfriends complain about and then I ended up with a daughter with this hair! Today we're gonna dish all our BEST SECRETS for taming that tangly hair. I don't know where Ani came from with her tangled hair, but it is next level! She has such long, beautiful hair, but it is so prone to tangles and we have had some legit battles involving real tears (hers and mine. HA!) over it. 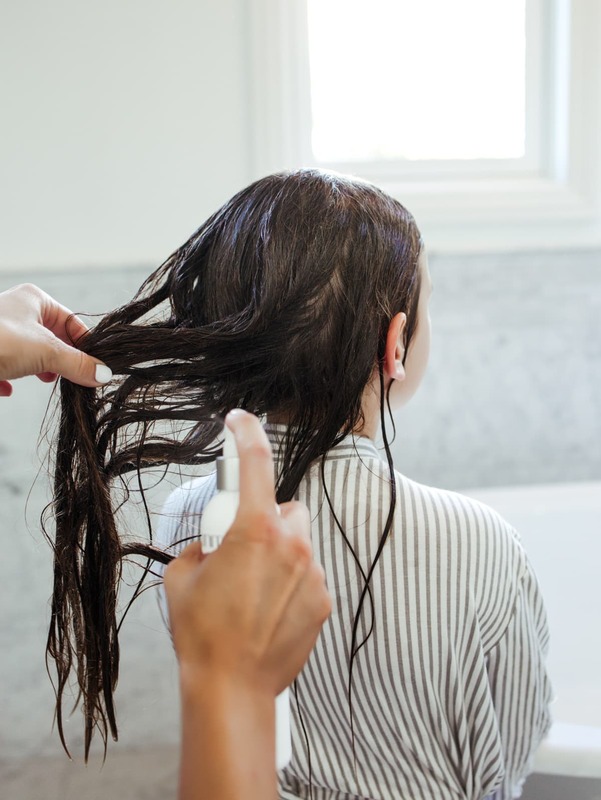 After lots and lots and LOTS of trial and error we've found a few tried and true detangling products that have dramatically helped and are totally worth your pennies! Washing her hair with this Mega Sleek Shampoo and Conditioner was a game changer-especially the conditioner!! And right now you can get a 1 liter bottle for $13, so it's also super duper affordable! But if you're looking for an even less expensive drugstore option, Garnier Fructis Sleek & Shine is a pretty good option too and crazy cheap. A detangler is an absolute MUST. Do not pass go, do not collect $200, nothing happens without detangler and a Wet brush (the BEST detangling brush in existence! – this color is temporarily out of stock, but here is a similar one). There are a few detanglers that we've tried and love. The Kristin Ess Weightless leave-in conditioner smells great, works great and it's super affordable at just $10! It's a 10 is another amazing option and a cult favorite with thousands and thousands of perfect reviews. 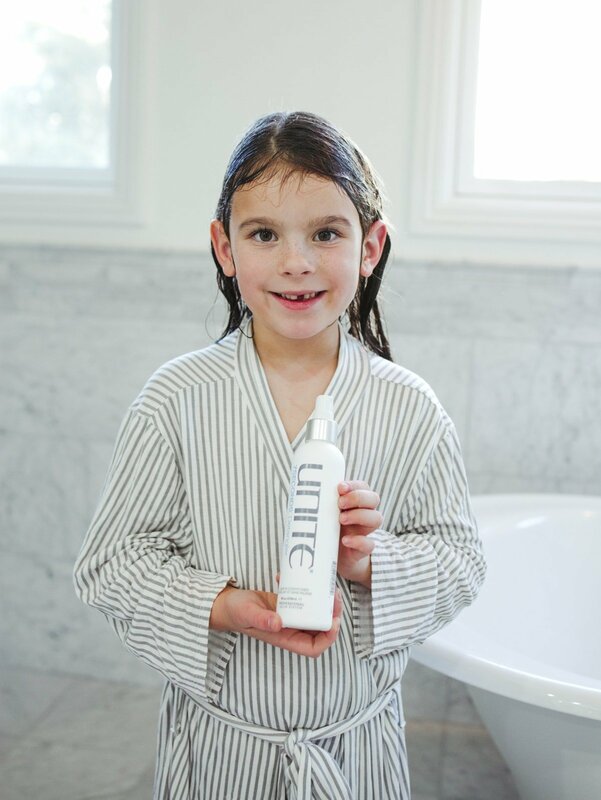 UNITE Hair 7 Seconds is the holy grail option. 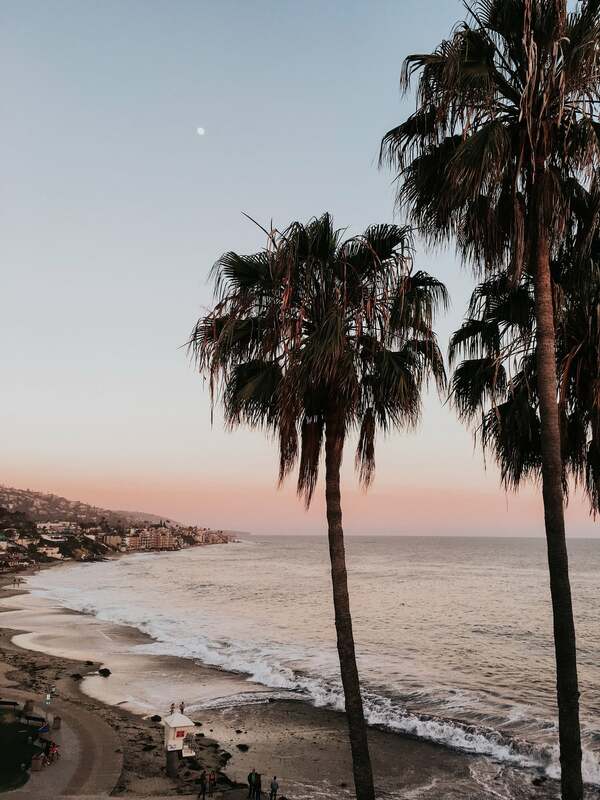 It is the most expensive of the three, but it truly works the best and I find I don't have to use as much product to get the desired result. 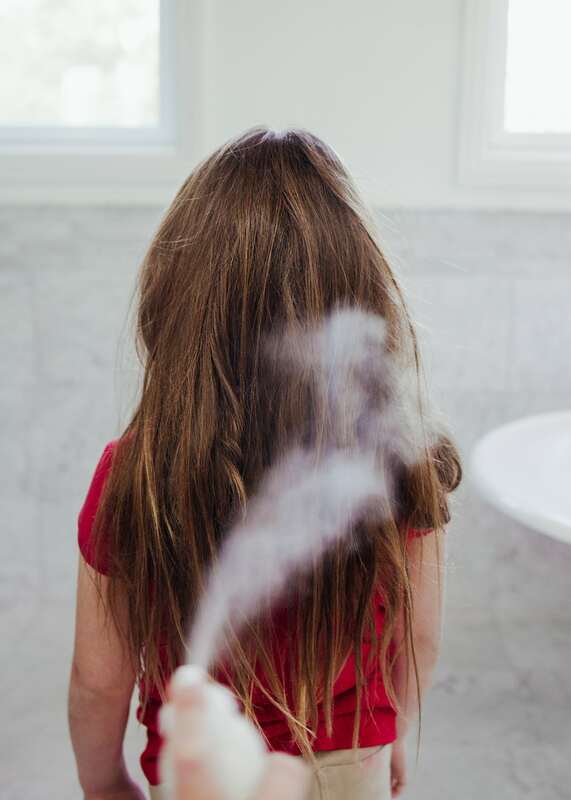 TIP: Pulling the hair and spraying detangler on the underside of the hair and dividing the hair in half and spraying detangler on the middle layer makes a MASSIVE difference! On our off days we use dry conditioner. Did you know dry conditioner was a thing? Because it totally is and it's the bomb! We have three favorites. The Forget Me Knot dry conditioner is under $12 and it's pretty good. It's super lightweight and does a great job eliminating frizz and tangles. The Kristin Ess Reviving dry conditioner is brand new and we're obsessed!! It smells good and it works AMAZING. Instantly softens and smooths like magic and is just $14. The spendiest option is Living Proof No-Frizz Instant De-Frizzer and it's worth the splurge! It was even an Allure Best of Beauty Award Winner last year. It tames frizz and tangles and makes hair soft, smooth and shiny! TIP: Don't use dry conditioner or detangler above the ear line. Just use product from the ears down to keep the top from getting greasy. All these products have made hair time with Ani manageable and not a miserable fight and that is a major Mom WIN! These are our tried and true favorites for fine, tangly hair! Do you have any we missed? Thanks for this post! I feel like hair time can be so hard with my girls, especially my second oldest. Can’t wait to try these products! Hi! Where is Ani’s robe from?